With a tempting menu which included everything from paella to hot and cold tapas the most difficult decision the five of us had to make was to narrow down our tapas selection to just three dishes each. By the time we had selected exactly what we wanted, patterns had emerged. The calamari, and chorizo and prawn dishes were universally popular. But there was a feeling that since the dishes were intended for sharing, we all needed to pick carefully. Luckily, it was all good and although I am avid meat eater and loved the Chorizo al Vino pan fried in Rioja £4.95 the Oven Baked Camembert Drizzled with garlic, olive oil and fresh rosemary £4.95 and the Halloumi Tower (V) £5.20 was also delicious as was the calamari, when my wife would allow me to share some of it, as it was her favourite. Jo and I love eating out and consider ourselves quite selective but also quite loyal. If we go somewhere and have a good meal and a good experience we will add them to our memory bank and should opportunity and geography allow will return there on a fairly regular basis. It may seem like an idiotically obviously thing to say, but if you get good service you go back and bad service you don’t. But actually, it staggers me that the rules most people apply to something as straightforward and relatively affordable as a meal out, they disregard when it comes to something as fundamental as picking an accountant. Since moving back to live and work in Powys and Shropshire I have found myself talking to lots of people about who they use to do their accounts and tax planning, and even when people don’t know what I do for a living, they are often quite candid. “They are not great, they don’t do anything more than the bare minimum or they charge too much” are common themes. Occasionally I hear they aren’t great but they are cheap or they are close so the bad service is forgiven. So when I challenge people, and ask them why they don’t change and use somebody else, I am always staggered by how often I get ‘Oh I couldn’t do that I have been with them for ages. And in farming and other rural business the justification for lack of change is often they have been the firm of choice for several generations, so although not good, they have some sense of loyalty or duty towards them. With annual accountant fees for a business tax return liable to set you back between £500 and £1500 it beggars belief that there are people still prepared to pay this money to firm who don’t actually give them a good service – or only do part of what they should be doing. I am a firm believer, in all aspects of life, that if you always do what you have always done then you will always get what you have always got. So if you are not happy with a service and you don’t go elsewhere you will never get a good service – and the chances are it will lose you more and more money. Sure we all have off days, and every business is capable of making mistakes and getting things done slower than they should. But if that business doesn’t even recognise its own short fallings, can you really trust them to do the best for you? The night we went to The Olive Tree, the restaurant was very busy, and the staff apologised for the waiting time before they brought our desert (although in truth we hadn’t noticed). So even though we had not complained and were happily drinking wine and enjoying the atmosphere, they brought us a complimentary glass of Lemoncello by way of an apology. Although I could only taste mine, as designated driver, there is no doubt it was the best Lemocello we had ever had – far better than we have ever had in either Italy or top restaurants in London. It was not too sweet and not too sharp, as they often are, and owned its perfection, we discovered, to having been freshly made on the premises by Paolo and not bought in off the shelf. It was a final offering from The Olive Tree which left a wonderful taste in our mouths and as I paid our bill and left I was more than happy to be spending money with a great local business, which serves excellent food and drink and which values customers and so recognises the importance to getting it right. 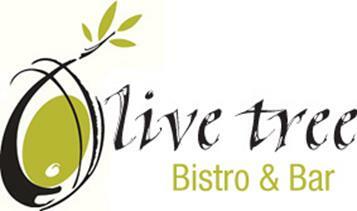 We left The Olive Tree as happy customers. The product and service was great the location was nice and the bill was reasonable. If you can’t say the same about your accountant then maybe it’s time to recognise that loyalty and passable service isn’t enough?